Everything Grows: How Often Should I Water My Plants? This is a very loaded question. Every plant is different, needs different lighting, and has a different environment. Hopefully, we can offer some advice to get everyone to have a “green” thumb. Light: Plants sustain themselves using light but, in a process known as photosynthesis. This process also uses light. So more light needs more water usage; less light needs less water usage. Light may also dry up your soil and sunburn if your leaves if there is not enough water. 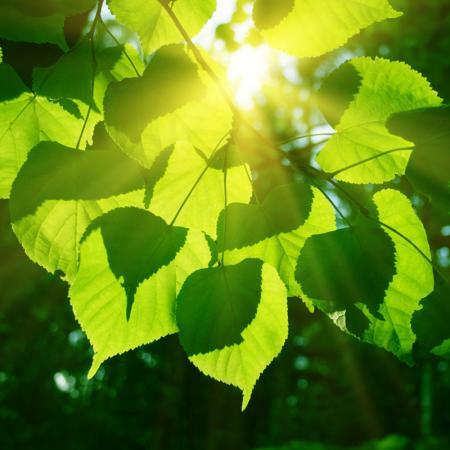 Day length and daily weather patterns affect how much light reaches your plant. Temperature: When it is hotter, evaporation of water and other chemical reactions move faster. So higher temperature mean more water usage/loss by evaporation - this happens at the soil surface and also from leaves, which is given a special term: transpiration. Humidity: This affects the rate of evaporation and transpiration. More humidity mean less evaporation. Transpiration may still occur because plants are keeping their pores ("stomata") open for other survival reasons (like gas exchange). Soil and container: the composition of soil and the physical structure of the container both have profound effects on the water available to the plant. 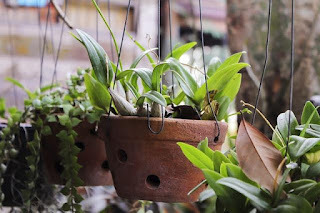 House plant soil is typically a mixture of peat (holds water), sharp sand (drains water), per-lite (drains water), vermiculite (holds water and drains water). Mixing these in different ratios allows you to optimize the overall soil moisture for each type of plant. Some moisture-loving plants will have mostly peat while cacti grow best in mostly sand. 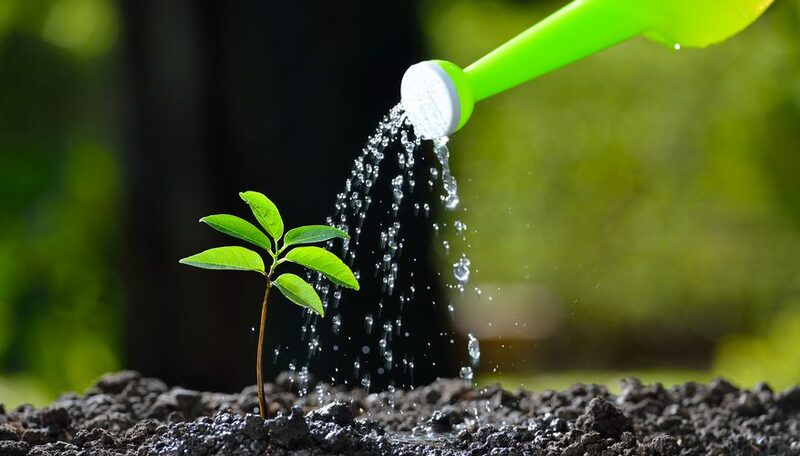 Adding to these factors, the container material and drainage characteristics greatly affect soil moisture: plastic nursery pots hold moisture better than clay pots; a drainage hole allows excess water to leave the container when there is a sudden increase. Although this may be obvious - the more soil there is, the more water it can hold. So the overall pot size affects the watering frequency. Lastly, over time, your soil will become compacted as roots repeatedly absorb moisture. Compacted soil has poor water retention ability so it is important to gently loosen it occasionally to restore optimal soil structure. Essentially there are many things that affect plants besides the type of plants and the amount of water they need. For a beginner who doesn’t quite know how to take all of these into consideration yet; an easy way may be to use a wooden chop stick the next time you order Chinese food. Why? The wooden stick can tell you how much wet soil is throughout the pot once it is placed through all the soil. There are a few rules of thumb such as; more than two inches of soil do not water. Or attempt to let your plants soil dry out to avoid root rot. Of course, this will take time and practice to learn. In the end why not let Everything Grows take care of the plants in your office space? We offer guaranteed reliable maintenance to ensure your plants are always happy, healthy, and looking great! No plants in your work space? Have our designer help with optimal plant selection for your workspace.